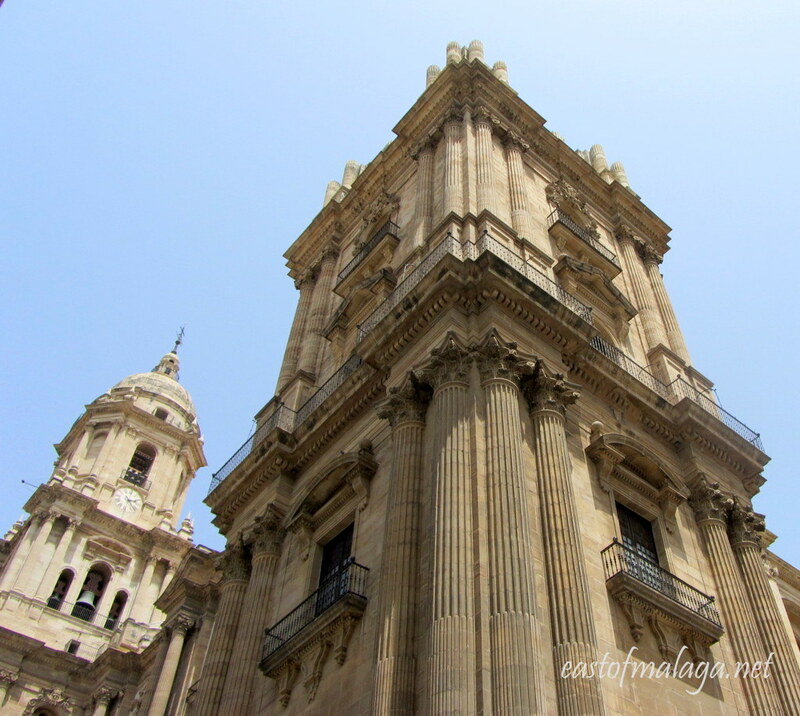 Málaga Cathedral was constructed between the early sixteenth and late eighteenth centuries and has one very unusual feature. Although the Cathedral´s North Tower is 84 metres high, making this building the second-highest cathedral in Andalucía, after the Giralda Tower in Seville, the South Tower remains unfinished. A plaque at the base of the tower informs us that funds raised by the parish to finish it were used instead to help the British colonies (which later became the United States of America) to gain their independence from Great Britain. This unfinished state has led to the Cathedral being known affectionately as “La Manquita”, which translates into English as “The One-Armed Lady”. This entry was tagged Andalucía, culture, Europe, life, Malaga, photography, Post a week, Religion, Spain, travel, Weekly Photo challenge. Bookmark the permalink. I was there only a week ago on holiday and I didn’t know about the plaque either. It’s a stunning cathedral too and a real example of the wealth of the Christian Church in Europe. sadly I didn’t get to go inside but maybe next time. I’m pretty shocked to learn that it isn’t even finished either. I’m surprised the Spanish government isn’t footing the bill. Did you manage to see it lit up at night, Adam? Somehow, I think being unfinished is part of it’s charm! I am a mine of useless information! Wow, thanks for sharing that delightful story. You´re welcome 🙂 Surprising though, isn´t it? Yes, why call it a 1 armed lady, though? No wait – too much room to speculate and I might just put my foot into it – BAD idea! This is why history fascinates me. You never know what tidbit of information will be revealed once you get past the idea of history being a series of dates. This is a great response to the challenge and thanks for today’s lesson. Glad I could teach you something new today, John! It’s great to learn new things, even about history, isn’t it? Me gusta la Manquita como es ;), and besides that money was well spent. Thank you for a very interesting post and a beautifully taken shot! ah….I didn’t know about that plaque! so I too learned something from your post. how interesting!! I too love those little obscure facts about a place – thanks! I think it makes places come alive when you learn all the obscure facts, don´t you? Thanks for your comment and for your continuing support for my blog. Much appreciated. I like all the write ups you do that accompany your photos – I do love a good story you know! Fantastic photo and interesting story! I’ve never been to Malaga, though I visited a part of Andalucia, but this captured my attention……Looking forward to visiting soon! Muchas gracias y hasta prontito! Glad you enjoyed the story behind the missing tower 🙂 Enjoy your visit to Málaga soon! Thank you for your comment which is much appreciated. I definitely remember this about the Malaga cathedral. If you go up to the Castillo de Gibralfaro or the Alcazaba and see the view of Malaga, the missing tower of the cathedral is very obvious! I studied abroad there for three months and a half in 2008 and the tour guides were always quick to remind us about the missing tower and the “manquita” nickname. That´s right Amelie, it´s a great view from the Castillo de Gibralfaro or the Alcazaba, isn´t it?